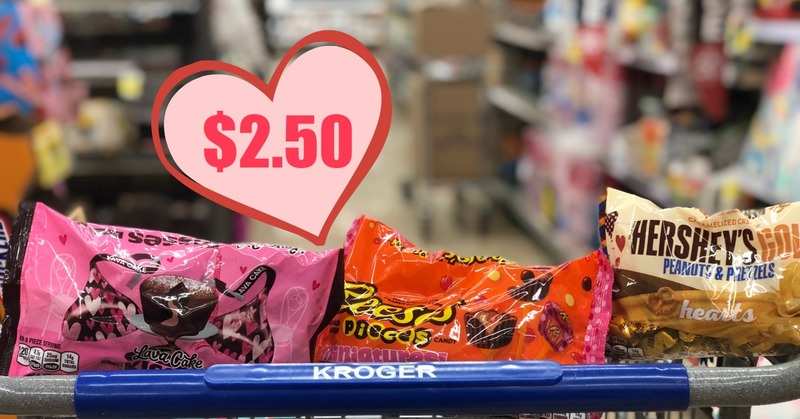 Hershey's, Reese's, or Kit Kat Valentine's Chocolate Candy Bags ONLY $2.50 at Kroger! If you still need a couple of bags for Valentine's Day or just because you like candy then be sure to download the $1.00 off 2 coupon and head to Kroger soon. You'll pay just $2.50 per bag.